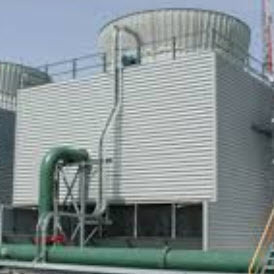 Under typical operating conditions, cooling towers can propagate Legionella. Combining chillers and plastic surface cooling towers with added anti-microbial options can significantly reduce the infection risk. This protocol outlines proper maintenance and safety practices associated with evaporative cooling systems. It’s a simple plan with specific means and procedures to manage risks of Legionnaires’ disease. Also addressed are several health concerns associated with commercial buildings and health care facilities. NSF P453 gives the rest of the U.S. rules similar to the New York City and state regulations for cooling towers. Disneyland, the ‘happiest place on earth’ was required to shut down two water-cooling towers after some visitors to the Anaheim, Calif., theme park contracted Legionnaires’ disease. 12 cases were discovered ‘about’ three weeks ago by the Orange County Health Care Agency. Disneyland was informed of the cases Oct. 27. After testing found two cooling towers had high levels of Legionella bacteria, the towers were taken out of service and disinfected. They were put back in operation Nov. 5 but, but were shut down again 2 days later. At this point, tests will be required to confirm they are free from contamination, according to the park and the county health agency, before they will be put back in service. The New York City Department of Health, while investigating an outbreak of Legionnaires’ disease in the middle of October that infected 15 people, took samples from 55 cooling towers in the area of the reported outbreak. Preliminary results determined that 10 cooling towers contained Legionella DNA. The Department has issued orders to increase or change the biocide used to the kill bacteria.